When it comes to big names in manga and anime, few are bigger than the name of Osamu Tezuka. One of the most influential manga artists in Japan's history and one of the first pioneers in Japanese animation. From the tale of the mighty Astro Boy to the story of the skilled doctor, Black Jack, Osamu Tezuka's contribution to art and animation have captivated both manga fans and anime aficionados alike. However, while most are familiar with the myriad of stories that Tezuka brought to the world, his own tale has remained in the shadows. Leaving only the truly dedicated fans to seek out the true story of the man behind the pen. However, thanks to Toshio Ban, Tezuka Productions, Frederik Schodt and Stone Bridge Press, an over 900-page biography of Japan's “God of Manga” has been released to the public. In the form that it was always meant to be told, in a manga format. The book, illustrated by Toshio Ban (who worked as both Tezuka's assistant and sub-chief of manga production) contains detailed panels in the Tezuka style detailing not just Tezuka's personal life, starting from grade school and onward, but also the evolution of manga and the birth of anime set in post war Japan. One of the standout aspects of this book is how it combines manga style humor to the very real and dramatic events in this story. Not only showing how Osamu's dream to be a manga artist evolves as he grows older but also the event's that would shape the world around him. From the 1945 bombings on Osaka, to the change in the Japanese children's magazines in the 1950s, there is enough supplementary information about this period in Japan's history that has never been fully explored before. 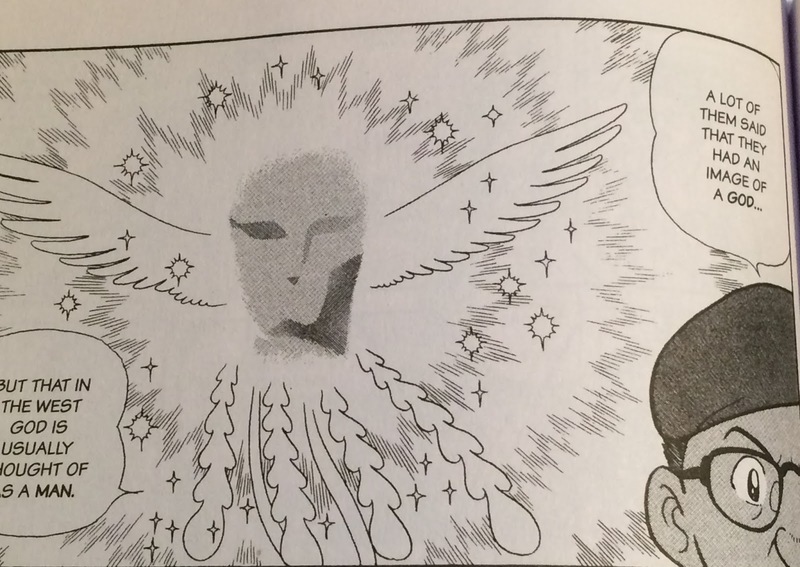 The way Tezuka is depicted is as endearing as it is humorous. How he would essentially run away from his editors to see over 300 films a year (he was a gigantic movie buff) and would occasionally give Orsen Wells trademark smirk from the Third Man. Something that sounds too hilarious to be true but I would sincerely like to believe it is. Even better yet, the book goes into detail about what specific instances of Osamu's life that would later inspire him to create the iconic characters he became so well known for. Transitioning between his passion for manga and how his enthusiasm toward film would later inspire him to dabble in the art of animation. 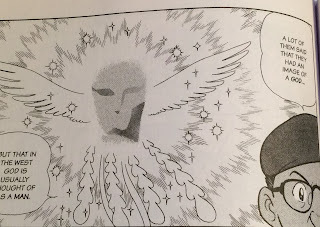 A particular point of interest, to me personally, was the depiction of Osamu Tezuka's creation of the Phoenix manga and his desire to adapt it into a feature film. What would later be known as Phoenix 2772. Even die-hard fans of Tezuka's work may see the man in a new light after reading this story, I know I certainly do. It is one thing to look at someone's work, but even that will only tell you so much about the person who made it. Tezuka's enthusiasm, his dedication, his sense of humor and overall the passion that he brought to everything he did just leaps off each page. 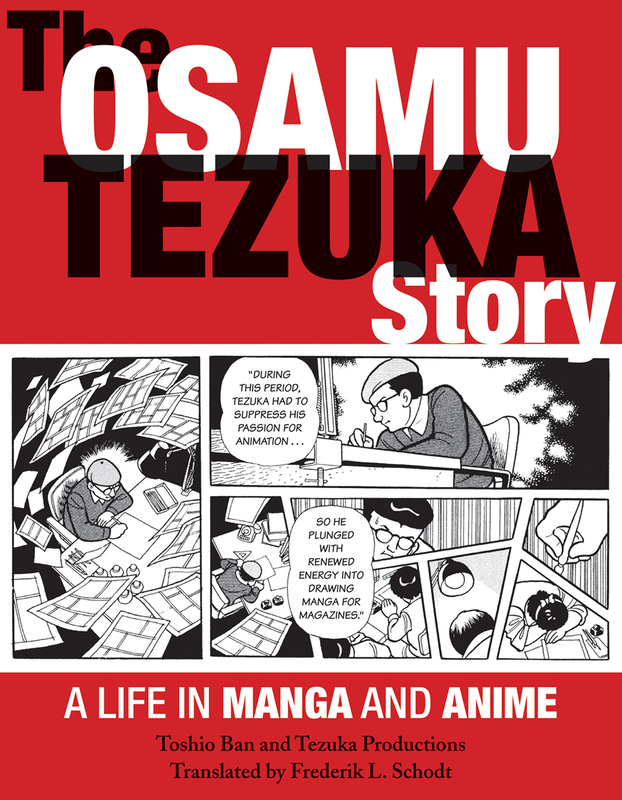 So for anyone who was inspired by Tezuka's work all the contributions he made to the art and animation, The Osamu Tezuka Story: A Life in Manga and Anime is a must buy. The Osamu Tezuka Story: A Life in Manga and Anime is available for $29.95 US and $37.50 Canadian. For more information, visit www.stonebridge.com.